I read this novel in 2009, I read it after reading Half of a Yellow Sun and Purple Hibiscus all by the same author, I already know most of her works, I was at the wait of any new work so I read this book the same year it was published. I was not disappointed. I loved it and it is my favourite, it is one of those books I would love to repeat. It is an easy read like her previous books. 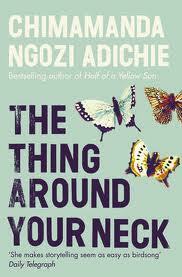 I love Adichie, even though her books are fictions, they narrate the life of the Nigerian citizens at its most real. I highly recommend this book to everyone.